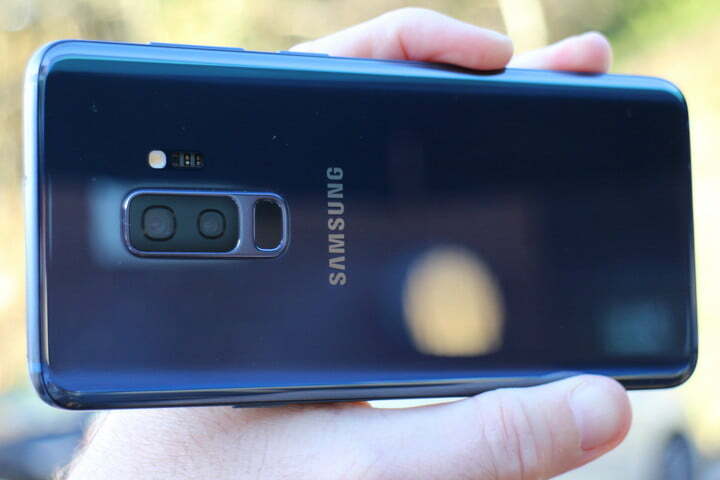 One of the main reasons you’ll buy a Samsung Galaxy S9 Plus is because of the camera. It’s a considerable step beyond the camera on the Galaxy S8 and S8 Plus, incorporating the best aspects of the Galaxy Note 8’s camera, plus taking fantastic low-light shots, along with a host of new features to explore. The question is, where do you start? We’d suggest pulling on your boots, getting outside, and snapping away. Before you do so, however, here are some top tips and features to try out, ensuring you get the best from your new phone. Open the Galaxy S9 Plus’s camera app and you’re greeted by a packed viewfinder screen, with plenty of icons to tap, and a row of modes across the top. Looking at the phone in portrait orientation, here’s what they all do, with some insider tips so you can get the best from them. By default, the camera app starts in Auto mode. Swipe right to enter Live Focus, which automatically blurs out the background to increase the depth-of-field in your picture. It uses both the camera lenses on the Galaxy S9 Plus to achieve this effect, and there is an on-screen slider to adjust the amount of blur it adds. Top tip: You need to be less than a meter and a half away from your subject for the mode to activate. 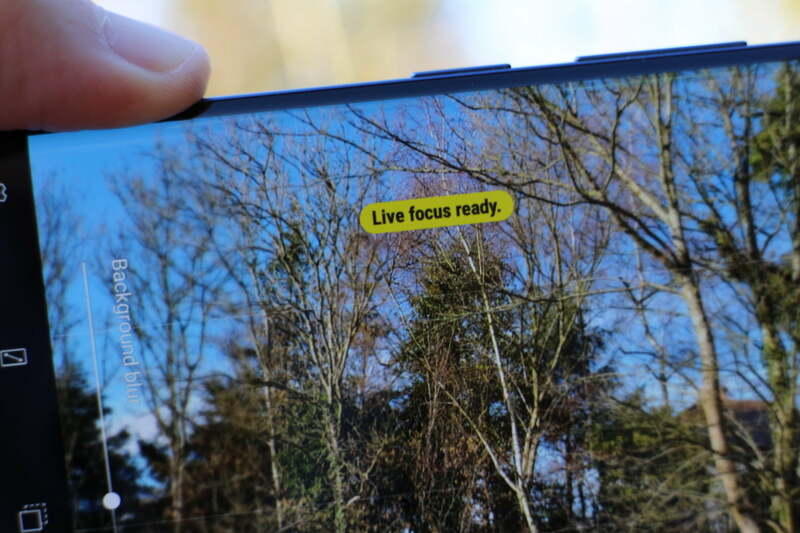 Watch for the on-screen notification — a yellow box with the words “Live focus ready” — before pressing the shutter button. If you’re taking a picture of a person, look for the palette icon in the bottom right of the screen. Tap it to alter the skin tone, like a basic beauty mode. Swipe right from Live Focus mode to activate Pro mode. Here, you can alter ISO, focus, white balance, and exposure to create the best photo possible. It’s called Pro mode for a reason — we recommend learning all about how the values alter your photo before using Pro mode to take an important picture. Do this either by experimentation, or by using our guide here. Top tip: Look for the icon saying Standard alongside the different values. Tap it, and you can select different filters in Pro mode, while still adjusting all the other properties as usual. Look for the two Tone settings to change the shadows, contrast, highlights, and other aspects of the scene in real time. The next feature is Panorama. Presented with an expansive scene, this creates a widescreen-style photo to capture everything you see. Tap the shutter release and follow the on-screen instructions, which include a guide to make sure the picture is straight. Top tip: Look for the yellow icon above the shutter release. It should be activated by default, and it’s for a feature called Motion Panorama. This captures a video at the same time as a still panoramic photo. Once the panorama has been taken, go into the Gallery app and find the photo, where the option to view it as a Motion Panorama will be added. Tap it, and a video version plays. Try tilting your phone left and right to control the playback. At the top of the screen is the option to save the video too. The final swipe to the right enters Food mode. We all enjoy taking photos of great food before we eat it, and this adjusts the camera’s settings to make those images truly reflect the eventual tastiness. The good thing is, Samsung’s Food mode goes well beyond being a simple filter. We think it’s worth warning your dinner companions that it may take a while to snap your food using the Galaxy S9 Plus, because the effects are so impressive. Top tip: When you activate Food mode, it automatically puts a tilt-shift-style blur around the focal point, isolating the dish without using Live Focus mode. 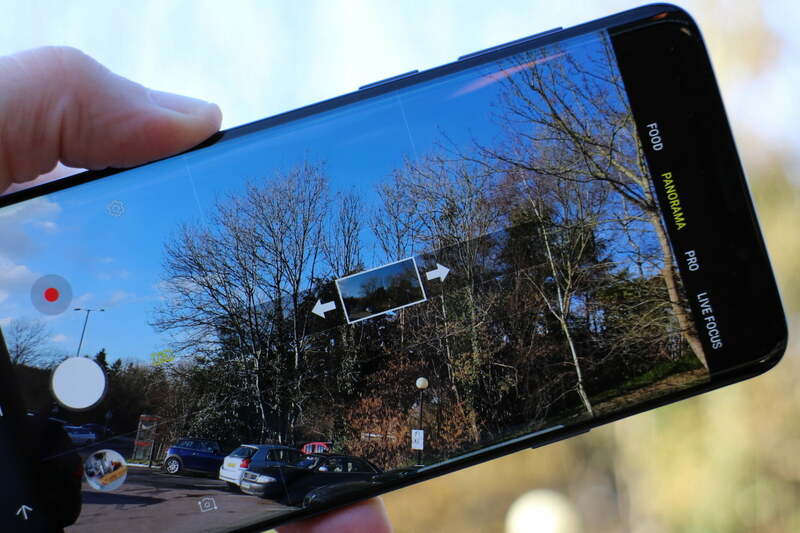 Rather than fix the focal point in one place, Samsung lets you move it around the screen. Simply touch the box and slide your finger around, so you can better frame the shot. Patience is key here — swipe about in the wrong way and it’s a little too easy to flip the camera view round to the selfie cam. If you don’t like the blur feature, look for the yellow drop icon and tap it. This switches the feature off. Another aspect we like here is activated using the palette icon, where you can adjust the color temperature using a simple slider. It’s really helpful when compensating for the different lighting conditions found in restaurants and cafes. Returning to the Auto mode, we’ll now look at the modes accessed by swiping to the left. The first is a major new feature for the Galaxy S9 — Super Slow Motion video. 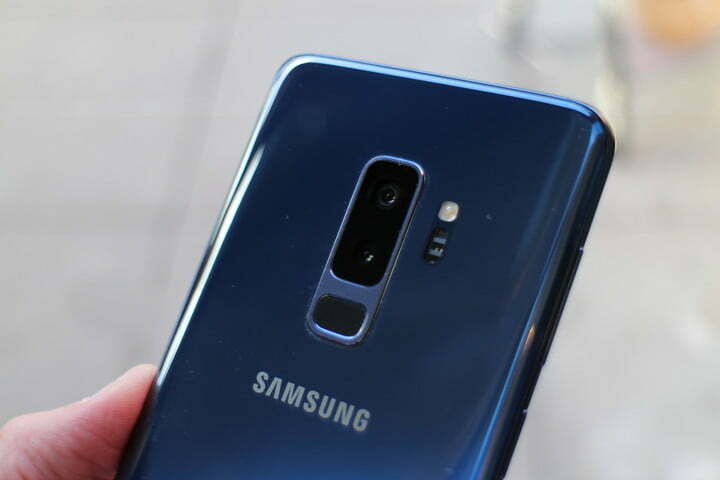 The phone will record short bursts of video at 960 frames per second (fps) at 1280 x 720 pixels, and the results can be dramatic and visually stunning. That is, if you get it right. This takes not only practice, but the right environment, and a good understanding of how the feature works. Top tip: You can either capture slow motion video automatically or manually. To switch between the two, look for the button marked Manual or Auto (depending on the mode you’re already in) located at the bottom left of the screen in portrait mode. Auto mode waits for something to happen on screen before capturing a slow-mo video, ideal if you’re controlling the action; but manual mode is better when things are going on that you cannot control. Alongside the Slow Motion Video mode is AR Emoji, which we’re not going to discuss, as Digital Trends already offers an entire guide for you to enjoy. The final camera mode is Hyperlapse, which may well be familiar to many out there already, as it has been a feature on several phones including iPhones. It lets you shoot video at high speed, compressing lengthier scenes down into more manageable times, and in a creatively interesting way. Top tip: Check the icons at the bottom of the viewfinder, and you’ll see one that lets you alter the recording speed. You can keep it on Auto, which is the default, or choose between 4x, 8x, 16x, or 32x. Also, watch for the two time counters shown when you start recording. The time in brackets shows the amount of time you’ve been recording, while the other counter represents the length of the final video once you’ve finished. 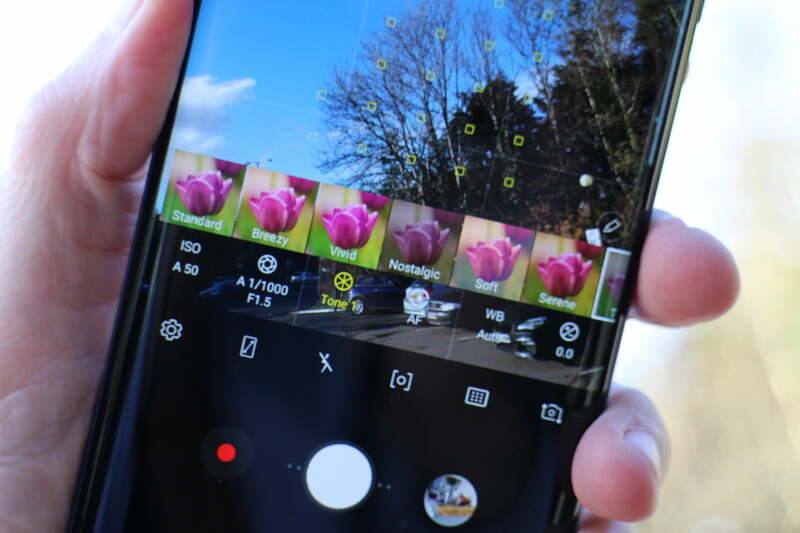 Now you’re familiar with the different camera modes on the Galaxy S9 Plus, let’s take a closer look at some of the other settings and features available in Auto mode, as this is likely where you’ll spend most of your time. There are five icons running along the bottom of the viewfinder. Use the second from the left to expand the view to use the entire screen. Use the second from the right to try some filters. The filters are split into categories, and are “live,” so you can see how the end result will look right in the viewfinder. While in the filter mode, tap the “+” icon on the far right to visit the Samsung store and download additional filters. There are many available for free, but most will only be available to add to images already taken, and will be found in the Gallery app’s edit mode. The Galaxy S9 Plus has a hybrid zoom feature, so you can zoom into your subject by 2×, without a loss of quality. Samsung helpfully has a button dedicated to this, and you can see it in the bottom right of the viewfinder. On the opposite side of the zoom button is a mysterious icon that looks like an eye. This activates Bixby Vision, a feature of Samsung’s AI-powered assistant, Bixby. Point it at something, and it’ll translate text, provide location information, read QR codes, identify wine, and more. Each category can be selected from a scrolling list along the bottom of the screen. Take a moment to dig into the Settings menu, using the gear icon on the far left. We recommend activating the Grid, making it easier to frame and compose your pictures. Go to Edit Camera Modes and make sure Sports Mode is ticked. This will then show up in the modes along the top of the screen, and is designed to help take photos of fast moving objects. While in this setting, you can rearrange the way the modes are displayed, if you’d prefer them in a certain order. Or, alternatively, you can remove any modes you are unlikely to use, tailoring the menu for you. Try out all these tips, modes, and settings, and you’ll quickly master the Galaxy S9 Plus’s camera, ready to take pictures like a pro. If you have your own tips, feel free to share them with all of us in the comments below.